Posted on 01/02/2019 by New Home Expert | Comments Off on Redress? When will New Homes Ombudsman be operational? James Brokenshire re announces the statutory New Homes Ombudsman but when will it be operational? 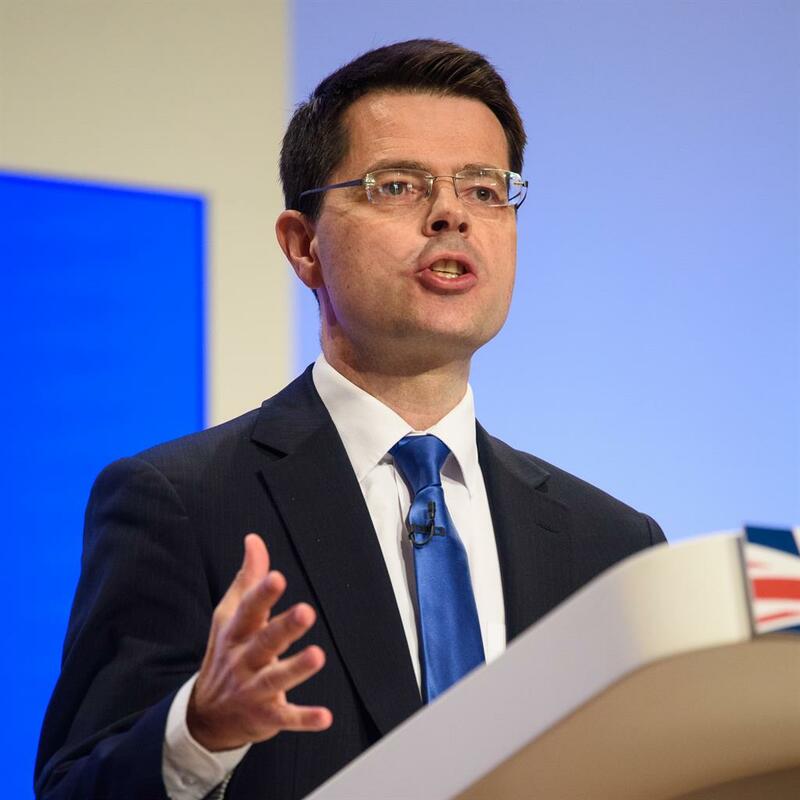 Whilst housing secretary James Brokenshire has announced an “overhaul of broken housing complaints system” it is evident to me that any redress will not be implemented fast enough. When I first suggested a New Homes Ombudsman to the APPG EBE Inquiry 2nd session I attended way back in November 2015, it was well received and became the number 1 “Key” recommendation in the inquiry report, published 13th July 2016. Sadly since then and until James Brokenshire’s announcement on 1st October 2018, little if anything has been done. Indeed, it can be interpreted from the government response to the Housing Redress Consultation, which took this government 283 days to publish; it is highly likely that legislation supposedly being “brought forward at the earliest possible opportunity to require all new developers to belong to the Ombudsman” will not in fact be the statutory new homes ombudsman so badly needed. It would appear, at least for the time being, that “an interim voluntary service will be established requiring developers of new build homes to participate” is favoured by government. More worryingly, the government has indicated that “developers will also have to belong to the new body by 2021 if they wish to participate in the government’s Help to Buy scheme”. This suggests the non-mandatory ‘voluntary’ new homes ombudsman will still be in place in April 2021, indicating that legislation for the statutory new homes ombudsman may not be on the statute until after the next general election, currently due on 5th May 2022! Hardly “the earliest opportunity” Mr Brokenshire! Could this be a cynical ploy to delay legally mandated, effective redress for new homebuyers, so that the industry’s political party donations keep flowing in to fight the next election? 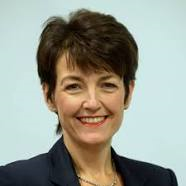 The government has said that it is to create a ‘Redress Reform Working Group’ with redress schemes, which will work with industry and consumers on developing the new service and the other options set out. Why is government even contemplating working with those responsible for the existing failures of an industry fraught with scandals and controversy? Will government be prepared to work with me, on behalf of UK new homebuyers, to ensure that the new homes ombudsman is created as the government good intention “to champion the interests of new homebuyers and hold developers to account” or is it going to facilitate ‘big housebuilding’ to mould and manipulate any new homes ombudsman to protect the interests of all those incestuously connected with this dirty industry, to limit its effectiveness, stifle justice for new homebuyers and maintain their current balance of power? The government has set out its desire to see a “single Code of Practice on complaint handling across all tenures.” Hopefully this will stipulate how complaints are to be dealt with and the timescales required. However, the nature of defects in new homes vary and no single timescale will suit rectification of complaints about poor quality, defects and breaches to building regulations and warranty standards. As I said in my submission to the APPG EBE Inquiry in January 2018 “New Homes Ombudsman – Call for Evidence” a single, separate, stand-alone, statutory new homes ombudsman is required. I am pleased the government has listened and will be legislating for exactly this, albeit eventually, and not one hidden and delayed by a new, ‘one-size-fits-all’ Housing Ombudsman which was, at the time, preferred by government despite it being more problematic, taking longer to create. It would appear that many of the inquiry report recommendations, published in June 2018, have been taken on by government. There are apparently currently seven consumer codes regarding new homes! “all different but sharing a general lack of obligations placed on home builders.” The Property Ombudsman said that the Codes “are written in a way to suggest that they exist to contain complaints” which indeed they do, all being set up subsequent to the Consumer Protection Regulations 2008. But it would appear the worst recommendation of the APPG Inquiry report, the proposal for a new “industry-wide code of practice, with government, warranty providers, housebuilders and consumer groups working together, in consultation, to draw up a code that would be used by the new homes ombudsman (NHO) to adjudicate on disputes” has been seriously considered and in particular, the industry-led, “limited in its scope” Consumer Code for Homebuilders (CCHB) appears, unsurprisingly, to be chomping at the bit to be front and centre for drafting the new Code – adding to the “confusion”. Not only will this give the housebuilding industry an opportunity delay the creation of any new homes ombudsman (voluntary or statutory), it will also provide the industry with a golden opportunity to influence what the new homes ombudsman can and cannot rule on, possibly shackled by the requirements of this single, industry-approved code of practice. I cannot think of any statutory ombudsman, in any sector, that can only adjudicate within the confines of a specific industry code. Statutory ombudsman such as the Financial Ombudsman Service and the Legal Ombudsman have compulsory jurisdiction over certain regulated sectors and their decisions can be enforced by a court. The statutory new homes ombudsman should be no different. No single code could possibly cover every eventuality for new home consumer redress. It could get even worse with the Homebuilders Federation (HBF) suggesting that “a detailed set of finishing standards for an ombudsman to apply when assessing the merits of complaints and resolving disputes” no doubt along the principles the housebuilder’s existing NHBC ‘Get out of Jail Free’ card – The “Consistent Approach to Finishes” which is used to justify atrocious workmanship standards as permissible, if deemed “within tolerance”. Government has indicated: “We will look to strengthen protection for the first two years after purchase when the majority of problems occur and minimise the variance in the levels of protection and schemes that are currently available.” This is another let off for housebuilders. The other reason given in the APPG report is that it “mirrors the duration for the housebuilders’ liability for defects.” However, the 2-year timescale does not bring warranty schemes under the new homes ombudsman jurisdiction, despite the APPG committee acknowledging my observation that the “The Financial Ombudsman Service (FOS) is not the best organisation to preside over technical disputes.” Hopefully the government will also look at redress for those who already own a defective new home and allow the New Homes Ombudsman to consider complaints retrospectively for the remaining duration of their 10-year warranty, to ensure that owners that reported issues that were never properly dealt with, can also seek redress. There was no mention of the APPG inquiry report recommendation requiring developers and housebuilders to buy-back new homes, those with serious problems that would require occupants to move out. In addition, whilst all those concerned recognise the need for all housebuilders to contribute via a levy, to fund the new homes ombudsman, there is no detail on this in the government’s response. My suggestion remains a levy of £100 for each new home built each year by every housebuilder and a £500 “case fee” to cover the cost of investigating each claim made against them. The government has confirmed the new homes ombudsman will be “free of charge to buyers of new build homes” unlike the CCHB! So “now” by definition is “at the present time or moment” Presumably at the time the government published the response to the consultation on 24 January 2019, better redress or a new homes ombudsman was about to start work, helping beleaguered new homebuyers get justice and their homes fixed? Perhaps this would go some way to explain why the publication of the consultation feedback and government response took 283 days! “Bring forward legislation” – When was it originally scheduled? What “now” is the new date? But when exactly? How long will the process take? And note, this is not the new homes ombudsman but potential backsliding, enabling the industry to continue to short-change its own customers on both quality and service, whilst at the same time no doubt, using its in-house “customer satisfaction survey” “to provide data to rebut negativity”. The government has stated that “as the proposed new homes ombudsman legislation includes devolved matters, we will continue to engage and consult the devolved administrations to seek agreement to introduce UK-wide legislation.” It is to be hoped that the devolved governments do not become a cause or excuse, for delaying legislation to bring in the statutory new homes ombudsman. Oh no not another consultation! Could this mean that a housebuilder that does not comply with the requirements of a Code of Practice will be prosecuted? So now we have a clear indication that a Statutory New Homes Ombudsman has the distinct potential to take years not months to create and legislate. Redress with a ‘Voluntary’ Ombudsman? • And have effective powers to hold developers to account. Not sure how this can come to be if it is “voluntary” (as is the ineffective CCHB) created in conjunction with the housebuilding industry. Indeed, it may even give the industry an opportunity to suggest that legislation is not necessary as it seeks to prove the voluntary new homes ombudsman has been effective. Of one thing we can be certain, government cannot and must not, allow the housebuilding industry to make the same bodge job with a new homes ombudsman (whether voluntary or statutory) as they do with the defective new homes they build. As it stands, the current new home redress proposals are just that, well-intentioned but lacking detail and clarity. Government must act and do so quickly. It must ensure the housebuilding industry, building defective new homes up and down the country and causing untold misery for those that live in them, is not given any opportunity to water down the potential effectiveness of the new homes ombudsman. Let’s make sure these bold proposals become bold actions. You can be sure I will be watching, commenting and will miss nothing. 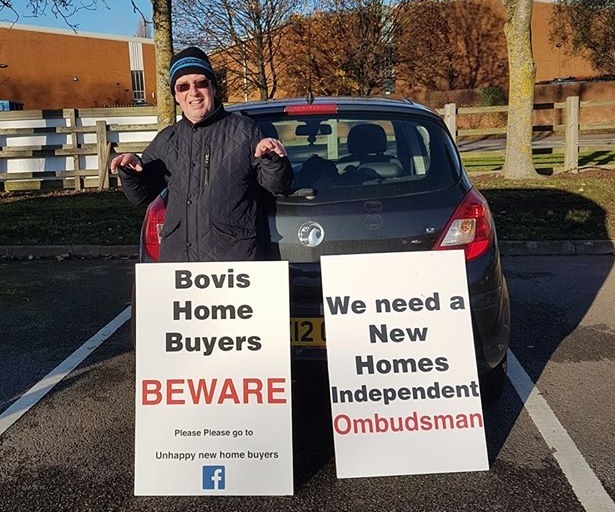 After five years campaigning, the new homes ombudsman is too close for me to allow the industry to manipulate and interfere, or an ineffective government to delay it. Comments Off on Redress? When will New Homes Ombudsman be operational? 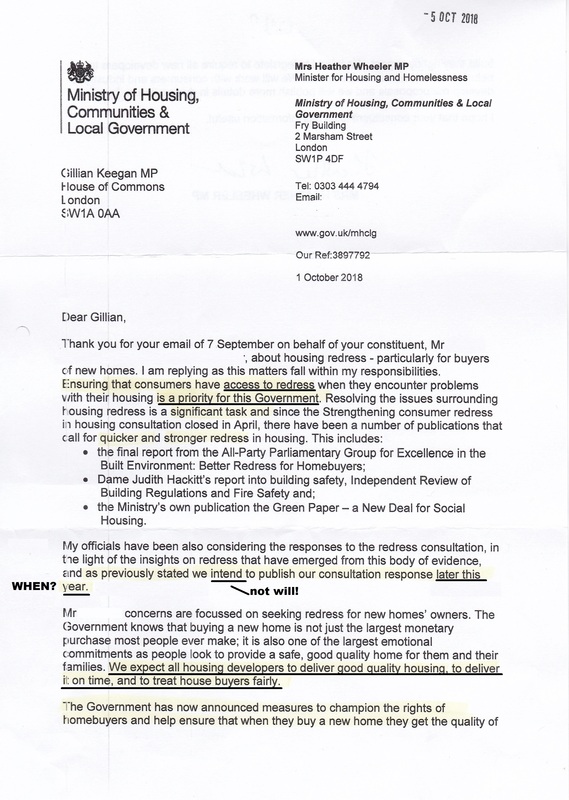 Whilst the government consultation response relates to redress in all housing sectors, I will restrict my comment and subsequent observations to the government’s “reiterated commitment to establishing a New Homes Ombudsman which will champion home buyers, protect their interests and hold developers to account.” as previously announced by James Brokenshire on 1st October 2018. Disappointingly, just 1,209 responses were received for this consultation, only 355 (34%) from those having bought a new home and 385 (37%) from leaseholders. ‘Industry and organisations’ returned 172 (14%) responses. The consultation “Overcoming the barriers to longer tenancies in the private rented sector” which closed on 26 August 2018, received over 8,700 responses! Are new homebuyers uninterested in having someone fight their corner? “holding developers to account” Nevertheless, I would like to acknowledge and thank the few who did participate on behalf of many thousands of new homebuyers with defective new homes and thank Katie Kendrick of the National Leasehold Campaign who encouraged members of her group to also respond. In the government housing redress consultation, just 12 people (7%) indicated that had made a complaint using the Consumer Code for Home Builders (CCHB) IDRS in the last FIVE YEARS! Some respondents said their complaints had been considered as ‘out of scope’ – a common phrase used in the CCHB Case Summaries! A Government inquiry report in July 2016 also concluded the CCHB was “limited in its scope”. The majority of respondents (84%) who replied to Q20, stated that an ombudsman scheme for new homes should be statutory. The response to Q30 regarding a single ombudsman or one for each sector was not disclosed. Nevertheless it is clear that the majority of new homebuyers want a stand-alone, independent statutory new homes ombudsman and this is what the government have pledged to create. Following the consultation, James Brokenshire announces overhaul of broken housing complaints system “And to protect the interests of home-owners who buy new build homes, government has also reiterated its commitment to establishing a New Homes Ombudsman which will champion homebuyers, protect their interests and hold developers to account. First, I want to help plug the gaps in available redress services so that more people can get their housing disputes resolved without going through the courts. To that end, I am proposing a New Homes Ombudsman, underpinned by legislation following the establishment of an interim voluntary service, and requiring developers of new build homes to participate. Our aim is to provide a single point of access for all the current schemes in housing. We intend to develop this in collaboration with the redress sector, initially on a voluntary basis, but we will keep open the option of legislation to make this mandatory if necessary. Our ambition ultimately is for the new service to cover all housing consumers including tenants and leaseholders of social and private rented housing as well as purchasers of new build homes and users of all residential property agents. Addressing the gaps “proposing legislation to extend mandatory membership of a redress scheme to: c. developers of new build homes. The government announced the proposal to create a New Homes Ombudsman service in October 2018. This response indicates how that service will sit in the wider redress landscape and the next steps of its implementation. First, I want to help plug the gaps in available redress services so that more people can get their housing disputes resolved without going through the courts. To that end, I am proposing a New Homes Ombudsman, underpinned by legislation following the establishment of an interim voluntary service, and requiring developers of new build homes to participate. I will also bring forward legislation to require all private landlords, including private providers of purpose-built student housing, and park home site operators to belong to a redress scheme. On 1st October 2018 we announced our commitment for a New Homes Ombudsman to protect the rights of buyers of new build homes. These commitments are part of the Government’s drive to close gaps in existing redress services and ensure that all housing consumers have access to redress when things go wrong. This consultation response provides more detail on the implementation of these measures. We propose to bring forward legislation to underpin a New Homes Ombudsman in statute and we will work with industry and consumers prior to legislation so purchasers of new build homes have access to better redress now. In the meantime, we will work with industry, warranty providers and consumers to ensure that the distinct practices for the new build sector are addressed and that these are reflected in an agreed single consumer code of practice which would be used by a New Homes Ombudsman to adjudicate against. 99. 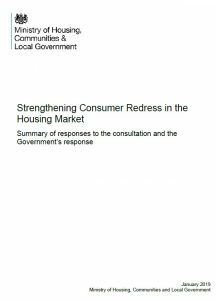 It is clear from the responses that more needs to be done to strengthen consumer redress in relation to new build homes, and to drive up standards across the industry. The need for an easy, effective and independent body for consumers to go to is evident, and supported by the industry. A significant minority of respondents said that there is no current existing redress scheme which is best placed to deliver an ombudsman scheme for purchasers of new build homes. 100. 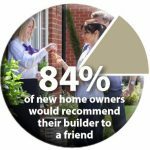 There was very strong support in favour of purchasers of new build homes having access to an ombudsman scheme, and many respondents were in favour of such an ombudsman being statutory. We consider that the fastest way to improve redress is to work with industry and consumers to implement a better redress scheme for purchasers of new build housing as soon as possible. 101. We have announced proposals to ensure that a New Homes Ombudsman is established, working with industry and others. We will look to strengthen protection for the first two years after purchase when the majority of problems occur and minimise the variance in the levels of protection and schemes that are currently available. To ensure that consumers get the protection they deserve, we will introduce legislation to require developers of new build homes to belong to a New Homes Ombudsman, which will be underpinned in statute. 102. It is proposed that the New Homes Ombudsman would charge developers to ensure that the service is free of charge to buyers of new build homes. 103. Developers work across all nations of the UK. As the proposed legislation includes devolved matters, we will continue to engage and consult the devolved administrations to seek agreement to introduce UK-wide legislation. 104. We will consult on the detail of the proposed legislation to statutorily underpin a New Homes Ombudsman. 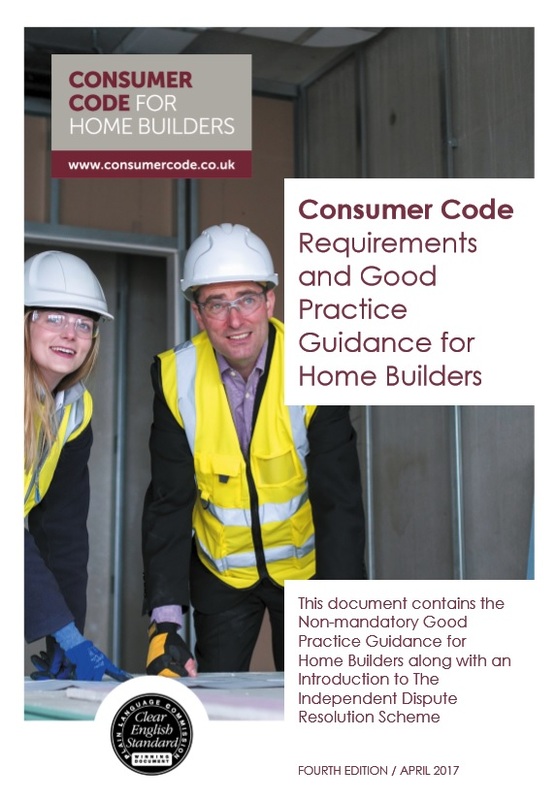 This will include the approval mechanisms and standards that a New Homes Ombudsman must meet as well as whether a Code of Practice for developers should also be underpinned in legislation. 106. At Budget 2018, we announced that a new Help to Buy Equity Loan scheme will run for 2 years from April 2021 before closing in March 2023. We will establish the condition that housing developers must belong to a New Homes Ombudsman to participate in the new Help to Buy Scheme. Posted on 14/01/2019 by New Home Expert | Comments Off on Why is the Conservative government dragging its heels over housing reform? Whilst Javid may have claimed his housing white paper would provide “radical lasting reform” to fix the broken housing market, it would appear that very little, in fact nothing, has actually been done in the last three years. Since then the “Consultation Party” has announced various consultations, reviews, reports and inquiries but as yet, nothing has changed. For big housebuilding it is very much Keep Calm and Carry On Regardless. Government action required not just words! This was first suggested by Justin Madders during the commons debate and implemented in Wales in March 2018 with developers in Wales will now no longer be able to receive Help to Buy funding for new houses sold as leasehold unless they can present a legitimate reason for retaining the freehold. On 2nd July 2018 current Housing Secretary James Brokenshire announced “funding for leasehold new houses to end” and, in a bid to “create a fairer more transparent system for homebuyers”, the latest MHCLG Consultation “Strengthening consumer redress in housing” gave new homebuyers an opportunity to insist on a fully independent New Homes Ombudsman, closed on 16 April 2017. At the time of writing, some 274 days later, the feedback is apparently still being “analysed”! Obviously that has still yet to happen. It looks like Heather Wheeler would have trouble forecasting six o’clock at half past five! So why is everything taking so long? I can see any reason whatsoever why new laws cannot be debated, drafted and enacted to a given timetable. Brexit is not an excuse! Even simple improvements for new homebuyers could be set up with relative ease and yet they are not. Has this government a hidden agenda? Is it in league with big housebuilding? Is the “Consultation Party” relying on huge donations for the next election campaign? Whatever the reason, and there must be one, such a dire performance in both work output and results would not be tolerated in any other form of employment. It is clear and has been for many years, that plc housebuilders put their profits above anything else; good service to their customers, high quality new homes, value, warranties that really do give peace of mind, not scamming by selling leasehold new houses and homes with fleecehold management charges all are possible and deliverable but nothing has been done. Make no mistake; the housebuilding industry is rotten to its very core. It will never ever change without a strong government forcing it to. A lot of things have got to change. Real change has got to come from Parliament, from a strong leadership. Not much chance of that at the moment! It could have been so different. On 1st October 2018 James Brokenshire announced that a New Homes Ombudsman was being created “champion homebuyers, protect their interests and hold developers to account” So what, if anything, has been done to progress this in the last 107 days? So I call on everyone, let us make 2019 the year of #PeoplePower. It is time to force those government announcements into actions. Perhaps she might like to tell the electorate exactly WHEN she is planning to start! Comments Off on Why is the Conservative government dragging its heels over housing reform? Posted on 10/11/2018 by New Home Expert | Comments Off on Consumer Code for Homebuilders – Causing the Confusion! So much for “Clearing the confusion” the Consumer Code for Home Builders (CCHB) appears to be creating it with its latest webpage purporting to “answer” consumer’s questions following the government announcement last month that a statutory new homes ombudsman was being created. 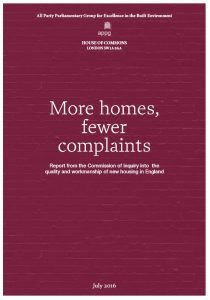 It would seem that the conclusions in the APPG Report published in July 2015 “More homes Fewer Complaints” appear to be lost on the Consumer Code for Home Builders as it ramps up rhetoric in a battle for its very survival now government has announced the creation of a statutory new homes ombudsman. “Will the proposed New Homes Ombudsman replace the need for the Consumer Code? “The spotlight is on proposals for a new homes ombudsman once again, and we are actively working with government to understand how the new proposals will work in practice and what rights consumers would have under the scheme. In the meantime, however, there has been some confusion about the role of an ombudsman. This is an industry-led and industry funded Code that would never bite the hand that feeds it. But presumably not many, if any, have had their registration cancelled by the warranty providers. We don’t know because it has never been published! Does the Consumer Code offer any more rights than existing legislation? Wrong! It does as far as ‘services’ are concerned. However, no consumer legislation at all specifically covers property. The CCHB does not give consumers any “Protection” it is merely a set of requirements that plc housebuilders appear to pay little more than lip service to at best. Wrong again! Not “some protection” – it covers every area regarding selling property. The CCHB was set up by the industry to prevent housebuilders being reported to Trading Standards and ending up in court. That is specifically why the Statutory New Homes Ombudsman is being created. The CCHB has existed for over 8 years yet apparently raising awareness is still necessary? A statutory new homes ombudsman would give consumers a right to redress in any dispute with housebuilders, in the same way the Financial Ombudsman Services does with financial providers. The statutory new homes ombudsman would not and must not be, restricted and shackled by specific Code requirements drawn up in collaboration with the industry and its own vested interests. Why doesn’t the Code deal with more cases? Good question! Because no housebuilder is going to promote the CCHB as it would make complaints more likely! In addition, the CCHB charges consumers an administration fee of £120 to register a complaint, and in some “successful” cases, this fee has not been refunded. It hasn’t improved in the last 8 years! In fact I’ve done more to raise awareness of the CCHB and encourage buyers to use it after they sought my advice. The majority of solicitors being those that housebuilders force or coerce buyers to use even though this breaches requirement 2.5 of the CCHB! Wrong! Satisfaction has not increased. True it is 2% higher than in the previous years survey at 86%, but still way below the 91% in 2013! Spin and PR? An example of this industry never letting an opportunity for a bit of HBF survey spin pass by! FACT – 99% of new homebuyers reported defects to their housebuilder within weeks of moving in. FACT – 41% reported more than ten defects! There is a danger that Government will bow to industry pressure and propaganda like this, placing limits on the effectiveness and powers of the statutory New Homes Ombudsman. Bearing in mind the government said it “will work with consumers and industry to develop our proposals and publish more details in due course.” But is this a delaying tactic? Whatever the perceived necessity for “further work”, the housebuilding industry is grasping it as an opportunity to lessen the impact that a statutory new homes ombudsman will undoubtedly have on their businesses. Any perceived failure, collusion or delay with regard to the creation of the statutory new homes ombudsman will only serve to increase consumers (voters) existing and growing belief that government is ‘in bed’ with the housebuilding industry, for example some have already questioned the recent extension of help to buy to 2023, albeit restricted to first time buyers. It is time that for once government ignored the whining of this broken uncaring industry, one that has been running roughshod over new homebuyers for decades ans is ruining lives. This Hansard debate from 22 April 1998 is as relevant today as it was then Why have so many successive governments failed to act? They must do so now. Comments Off on Consumer Code for Homebuilders – Causing the Confusion! Posted on 15/06/2018 by New Home Expert | Comments Off on Housebuilding industry attempts to derail the setting up of an independent new homes ombudsman. 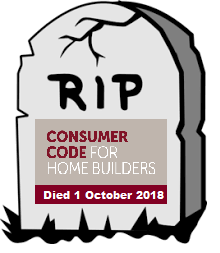 As the Consumer Code for Homes Builders (CCHB) fights against its own imminent extinction, an ever growing recognition that a fully independent New Homes Ombudsman is gaining traction and support in government circles. The CCHB starts to “bend and amend” in an vain attempt to head off fully independent consumer redress, which would make the CCHB redundant and take control of buyers’ complaints away from those paid by the industry, to safeguard housebuilders’ vested interests. 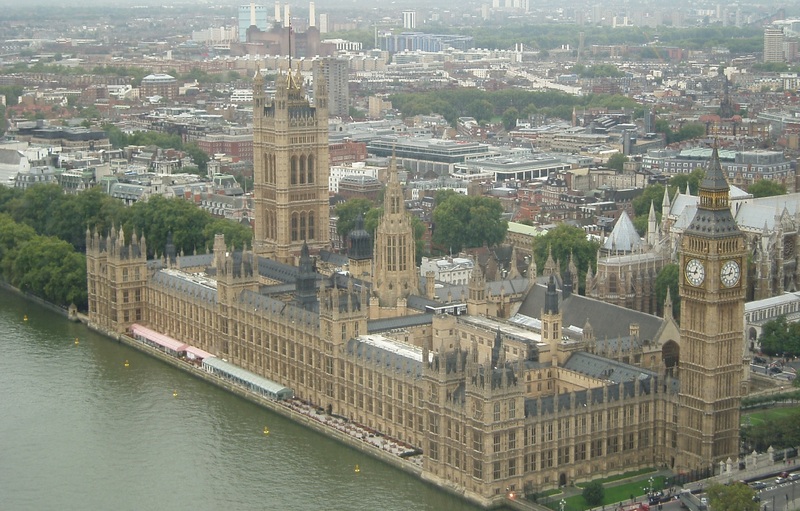 The APPG Inquiry in 2015 and the subsequent report published as long ago as July 2016, stated as its number 1 “key recommendation” that a New Homes Ombudsman be set up by government. Indeed it went further saying that the Consumer Code for Home Builders “was limited in its scope” and “did not give a satisfactory form of redress.” The CCHB does not, as it so often claims, “give new homebuyers extra protection”. It is merely the industry’s interpretation of requirements of existing laws such as the Consumer Protection from Unfair Trading Regulations 2008. So what are Noel Hunter Chairman ‘Consumer Code for Home Builders’ Management Board suggestions to the Consumer redress consultation? 1.2 An Ombudsman will not deal with issues of build quality and customer service which have concerned consumers but would simply address the problems that arise. A more fundamental approach to improving the quality of all new homes is therefore essential, and that is what the Consumer Code for Home Builders (“the Code”) is working to achieve. Not true. A fully independent, government-appointed new homes ombudsman (NHO) would force housebuilders to look at what they do. All complaints to the NHO would be public and through meaningful, justifiable compensation payments housebuilders would be forced to improve the quality of the homes they build. The Consumer Code for Home Builders has been in existence for 8 years and it is a quantifiable fact the overall quality of new homes has fallen over that period. “Working to achieve”? – maybe, but only now a new homes ombudsman is about to make the CCHB redundant. 1.5 We are currently working with the Home Builders Federation, Homes for Scotland and others in the home warranty and home building sector to find an industry-led solution that could more easily be implemented to address concerns in the new home build sector. “Find an industry-led solution”? The CCHB was industry-led and was found by a government inquiry to “not give a satisfactory form of redress” This profit-driven industry has had the last twenty years to improve quality and customer service when buyers report defects. It has failed all-ends-up to do so. It is not about doing what is “easily implemented” but doing what will be better and most effective for new home buying consumers. 2.5 Whilst we are supportive of the Communities Secretary Sajid Javid’s desire to improve consumer protection within the housing sector, we do not believe that a single Housing Ombudsman will provide the solution given the complexities involved in the construction and sale of new homes and the very different issues within the broader housing sector relating to second-hand homes, the rental market and social housing sectors, by way of example. 2.8 However, on those occasions where there are matters that need to be addressed, an Ombudsman will not be able to deal with any intrinsic systemic and operational issues within a specific home builder company that do concern those consumers, but will simply address the problems that arise. A Consumer Code can work with builders to ensure quality is further raised across the board. “Can work with builders to ensure quality is further raised” The quality of new homes has got worse, it has never been raised at all. More and more new homebuyers are contacting me in distress, due to their indifferent housebuilders failing, to not only fix defects in their homes, but even to recognise their own responsibility to do so. 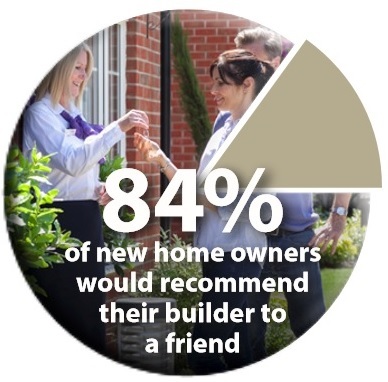 There are also increasing instances of buyer’s dissatisfaction with the way NHBC deals with buyers’ warranty claims. How could the CCHB possibly ensure quality is raised, when it hasn’t even managed to get plc housebuilders to abide with the basic 19 requirements of the CCHB in 8 years! 3.2 Since its launch, the Code has led to a step-change in how builders deal with customers through the sales process and is now in its fourth edition. It has been reviewed three times with wide consultation across the industry; consumer groups and Government, most recently in 2016 whereby the review was overseen by a former Director General of Fair Trading. Each time, the Code has been updated and improved to provide greater protection for consumers. Four revisions to the CCHB in 8 years! “Updated and improved” – for who? The latest CCHB evision making it more difficult for new homebuyers to get justice. The CCHB is not even a Chartered Institute of Trading Standards approved scheme! • Implementation of an Ombudsman redress scheme. All of which is too little, too late. It is ONLY now being looked at because of the threat of a fully independent, government-appointed, new homes ombudsman. Otherwise why haven’t the CCHB and the industry acted before now? The Barker Review was way back in 2004 and the Office of Fair Trading Market Study of Home Building in the UK published in October 2008, both many years ago! 7.2 However, we believe it [CCHB] can be strengthened further by making it more independent of the Industry. This would not preclude the Industry being represented on the Board; on the contrary we believe that this would be desirable in the interest of reaching effective and practical solutions. However, the Board should be balanced, but with a majority of independents. Plans are already in place to make such changes. The CCHB will never be independent of the industry. Its tentacles will be all over it, even with “independents” on the board. The NHBC has a council from many disciplines, but it has been controlled and influenced by housebuilder representation. Only a government-appointed new homes ombudsman, accountable and answerable to government, would be truly and demonstrably independent. 8.1 We are currently looking at ways we can improve the existing Independent Dispute Resolution Scheme by way of providing free access to consumers and extending it to cover any gaps identified between the home builder and the home warranty cover in relation to dealing with quality issues. The CCHB should have included defects, poor quality and warranty issues but these were and still are, specifically excluded to protect housebuilders and warranty providers, not new homebuyers. 8.2 You have asked within your consultation whether purchasers of new build homes should have access to an Ombudsman scheme; we consider that the importance is not necessarily whether it is an Ombudsman scheme, but more that there should be access to an Independent Dispute Resolution Scheme that can determine on issues that arise. Unsurprisingly, as a proper new homes ombudsman would make the CCHB redundant. IDRS has not served new home buyers within the “limited scope” of the existing CCHB. Far too often, even when buyers succeed, payments are a small fraction of what was justifiable. 8.3 Whilst we understand that the Property Ombudsman and Ombudsman Services (Property) have proved to be effective in addressing issues with estate agents in the second-hand homes market, our Code along with others in the sector already use CEDR Ltd: They are the leading independent commercial Alternative Dispute Resolution (ADR) provider in Europe and one of the largest and leading ADR organisations internationally, dealing with over 300,000 people in commercial disputes and resolving over 100,000 consumer disputes across 30 differing sectors. 8.4 CEDR Ltd are accredited with the Chartered Trading Standards Institute under the ADR Directive and are an associate member of the Ombudsman Association and we are already in discussion with them as to how they may alter their services to meet Government’s expectations. CEDR may well be accredited with the Chartered Trading Standards Institute (CTSI) but the CCHB is not approved by the CTSI. 8.6 We do not believe an Ombudsman scheme in isolation would, or could, offer the same levels of protection to consumers as home buyers currently have under the Code as it would not, by definition, embody a compliance regime as referenced above. A voluntary Ombudsman scheme inevitably would not engage all home builders as happens with the current warranty-led scheme where involvement in the Code is made mandatory by way of the warranty bodies’ Rules of Registration. As previously mentioned, the CCHB does not offer any “protection” to buyers whatsoever! A New Homes Ombudsman scheme would not be voluntary at all. Every housebuilder would be legally required to be bound by its decisions and scrutiny, paying a levy based on the number of homes each build. 8.14 Many of the issues being raised recently in the media are deemed to be “snagging” issues. This is a broad term and further clarity on what this means would help – some may be quality issues, others maintenance issues that appear over time as the property “settles in” and dries out, and others might relate to work that needs to be completed. An agreed timeframe for resolution of defects may reduce the volume of complaints and it is then possible to consider that those that are not dealt with in that time could then be escalated either through the home warranty provider or failing that, the Independent Dispute Resolution Scheme. This is typical of this industry, to attempt to minimise often serious defects in new homes as minor, snagging, or maintenance issues after “settling in”. In reality, thousands of new homebuyers have recently found a voice and engaged with the media to make very public the extent and often serious defects in their new homes, such as missing insulation, weak mortar, defective render and issues with timber floors. Increasingly, buyers are required to move out of their dream homes whilst their homes are torn apart and (hopefully) defects are rectified. It is neither fair nor just that in these instances, many of which cause ill health due to the stress and anxiety caused by housebuilders’ persistent denial of obvious issues, that there is currently no independent mechanism for justifiable compensation to be paid. An independent new homes ombudsman would address this gap. 8.16 Given all of these issues, we would suggest that a time-limited and independent study is carried out to review the way in which quality issues are dealt with, and to identify the gaps which an independent dispute resolution service would be best to address. Such a study would ensure consumers are fully covered for all matters of complaint in the future. The last thing beleaguered new homebuyers need is yet more delay. There is no need for a study, this industry knows full well the serious nature of defects, poor quality and how it acts towards its own customers. It chooses to do nothing. Further consultations, calls for information or green and white papers will only give more delay. What is needed is action, the setting up of a new homes ombudsman as soon as possible. 9.1 In respect of your consultation question around what kind of sanctions should a redress scheme have access to, we do not believe the purpose of a redress scheme is to act as a regulator but rather the purpose of the scheme should be to put the individual back in the position they would have been in had the service failure not occurred. A redress scheme that does not actively punish or sanction miscreants or act to prevent reoccurrence of similar complaints will be ineffective and not give consumers the redress they deserve or seek. To “put the individual back in the position they would have been in had the service failure not occurred.” With new homes would mostly mean remedial works to bring the new home up to the required standard. It would not address the issue of compensation for inconvenience and stress caused both before and during the required works. 10.2 A large business may receive more complaints just by the nature of the volume of homes sold but that may not mean that it is worse than perhaps a small business that might receive one or two cases, which could, therefore, indicate a more severe problem. Consumers often only look at the volume of complaints and perception is often the more complaints the worse the company. The more complaints the worse the company is a fairly logical conclusion. Barratt (17,395 homes) have fewer complaints than Taylor Wimpey (14,842 homes) and both have fewer complaints than Persimmon (16,042 homes) – based on HBF survey star rating and social media. With a housebuilder league table, new homebuyers would be able to avoid the worse of the plc housebuilders, or at least know what they were letting themselves in for! 10.3 Trends data and context is key here and while we would not oppose the publishing of such information, it nonetheless should be in a considered and balanced way given that consumers will often buy a new home due to the location and affordability as opposed to the identity of the developer building it. “A considered and balanced way”? In other words, in a way that the industry approves of. 11.1 The consultation asks if there should be a statutory body and our concern is that this will require parliamentary time to establish, which could take several years through the legislative framework. 90% of the home building industry is already supported by, and complies with, our Code and we believe that by finding an industry-led solution, we can increase the cover. 11.2 By expanding its remit to cover the issues currently being faced by home buyers in relation to redress, and by working with others within the home warranty and home building sector, supporting HBF, we believe we can provide an industry-led solution that could more easily be implemented with support of both the industry and key stakeholders. The CCHB had an opportunity to “expand the remit” during the fourth revision to the CCHB. Yet the latest incarnate of the Code made it even more difficult and placed new obstacles for new homebuyers seeking redress. 11.3 If agreed, we will continue to work with HBF, Homes for Scotland and other colleagues to address the issues raised within the consultation setting out a framework and agreed timetable for implementation. The British new homebuyer deserves better from government! The CIOB hold the view that only a fully independent New Homes Ombudsman, by its very existence, would drive housebuilders to reflect on the work they carry out and drive them to aspire to ‘do better’ in the knowledge that their customers can complain to an independent ombudsman. Comments Off on Housebuilding industry attempts to derail the setting up of an independent new homes ombudsman. Government Consultation: New homebuyers – why you should be bothered! So after four years of campaigning for the government to set up an independent New Homes Ombudsman, new homebuyers finally have a golden opportunity to tell government to set one up. Given the 100,000 or more that buy a defective new-build home each year, (98% reported issues to their housebuilder within a few weeks of moving in, 41% reporting 11 or more “problems”) you would think new homebuyers would be ‘chomping at the bit’ to complete the government consultation! But here’s the rub; the government are not publicising this consultation at all. National newspapers have given it scant coverage of the consultation since the 18th February 2018 press release. Last Sunday, The Observer provided the only coverage of this important government consultation in a national newspaper since the press release. Even so, it only briefly touched on it saying “The government is consulting on proposals that include a single housing ombudsman to handle complaints” but didn’t say the views of new homebuyers are being asked for. On 10 March, I contacted 35 journalists from national newspapers, just four replied! One had already written the story above, another has plans to cover the topic, PA to the Editor of the Mail on Sunday said she would “forward it to the news desk” and another forwarded my email to her editor as she will be abroad until April. 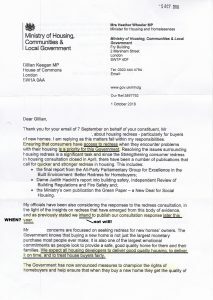 The Consultation “Strengthening consumer redress in the housing market” was “announced” on a Sunday, 18 February 2018, in a ‘blaze’ of publicity that was little more than a regurgitation of the MHLG press release which soon fizzled out faster than a budget supermarket firework on a wet night. Has lazy journalism replaced investigative journalism? Has anyone actually read the Consultation documentation? But even if this government consultation was well publicised and made clear that the public should take part, it looks to me that the vast majority of new homebuyers wouldn’t be prepared to spend a few minutes to complete it. There are times, when I feel I am the only person trying to do something about defective new homes and errant housebuilders. Those that buy new homes, apart from a very few, in the main seem happy to do nothing themselves apart from seek help and moan about their new homes on social media. Ignorance and apathy? I don’t know and I don’t care! I emailed around 400 new homebuyers (those that had previously contacted me for help and advice) asking them to complete this consultation, one replied saying: “Why would I help you out? I’m sorted now.” Point to note you are not “helping me out” you are helping yourself and all future new homebuyers! On a personal level, I will never have a need to use a New Homes Ombudsman, as I would never buy a new home! “I was wondering if anyone could help me…..” But very rarely: “This might be useful/help others” Ask not what other new homebuyers can do for you, but what you can do for other new homebuyers! But how many members of these various Groups will actually complete this consultation? I would be astounded if it was even as high as 1 in 20! The previous government consultation “tackling unfair practices in the leasehold market” stated: “The response to those plans, published here was overwhelming. We received a staggering response with 6,075 replies” [5,336 private individuals of these 4,489 being leaseholders], demonstrating the strength of interest in this issue.” This due to a large degree by very active Facebook Campaign Group with over 10,000 members and the support and backing of a registered charity with full-time employees, The Leasehold Knowledge Partnership vigorously promoting that Consultation in the press. So government considers a response of a little over 6,000 is “overwhelming”. Imagine what the response would be if 15,000 (around just 10% of those that buy a new-build home every year) completed the current government consultation and demanded an independent, stand-alone, new homes ombudsman be set up by government. Hot on the CIOB heals comes yet another Consultation, this from Ombudsman Services that only last month declared said it would no longer offer “a broken solution to a broken market“. But it would seem is now touting to be the single “Housing Ombudsman” that is Sajid Javid’s preferred option. Ombudsman Services new survey, “Building Balance”, has been launched, asking for views on a topics such as whether there should be a single ombudsman, and whether the current system is muddling for users. Well the number of simultaneous consultations certainly is! 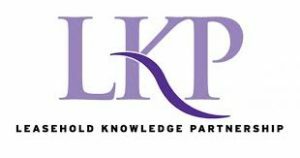 These are in addition to another consultation on commonhold – a result of the consultation on leasehold reform last year, which is also ends on 16th April 2018. The RIBA has a “Building on Quality” consultation. Point to note: to build on something it has to exist in the first place! At least this one from What Mortgage comes with a chance to win £500 (now there’s an idea Mr Javid!) but this looks to me to be little more than an exercise to harvest consumer data that can be passed to housebuilders! In all likelihood, the housebuilding lobby will get what they want, an ineffective ombudsman, which the industry has control over, that consumers don’t know about (just like their ineffective Consumer Code for Home Builders) and it could well be buried within a wider “Housing Ombudsman” which government would prefer. Great job Jibber Jabber! If new homebuyers don’t know about this consultation, or worse can’t be bothered to complete it, nothing will change. 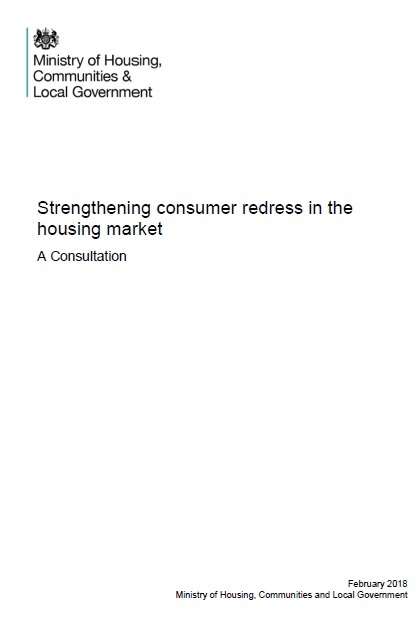 Strengthening consumer redress in the housing market – A Consultation. This 8-week consultation, hot on the heels of the ‘behind closed doors’ sessions of the APPG EBE Inquiry to “look into the potential and detail for a New Homes Ombudsman”, announced by Sajid Javid on 29 November 2017, was finally launched on 18 February 2018 and is indeed taking place “in the New Year” It is titled “Strengthening consumer redress in the housing market” but is it what it seems? Is Javid fully committed to giving beleaguered new homebuyers a statutory New Homes Ombudsman? 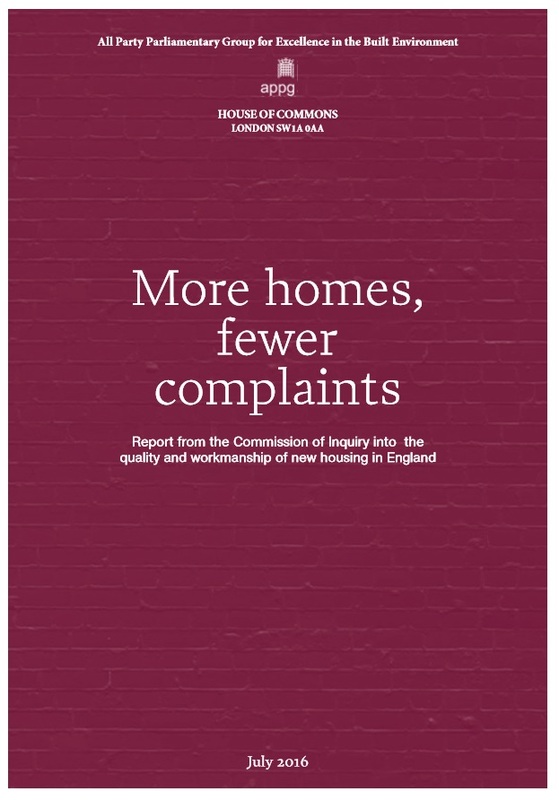 This being paid for by a levy on housebuilders as recommended in the APPG EBE strangely titled Inquiry report “More Homes – Fewer Complaints” published as long ago as 13 July 2016! Since this Inquiry report, we have had three housing ministers, yet none of them has seen fit to implement any of the APPG Inquiry report recommendations. We have reviews, considerations, discussions with stakeholders and all manner of excuses and delays. 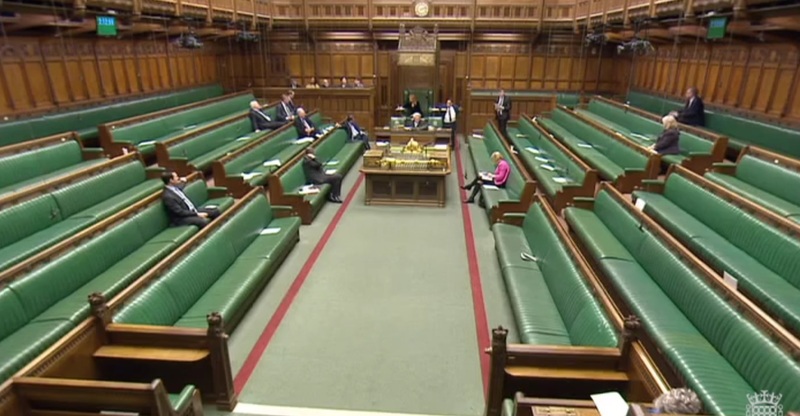 In the meantime, I have encouraged new homebuyers to write to their MPs and demand a new homes ombudsman be set up. So now 20 months later, we have yet another ongoing APPG EBE Inquiry (with any report due August at the earliest with October more realistic) and Javid’s 8-week Consultation ending on 16th April 2018. The last housing 8-week consultation regarding unfair leasehold practices was from 25 July to 19 September 2017. The government response, dated 21 December 2017, (91 days after that consultation ended) indicted that just 5,336 private individuals took part. The Facebook National Leasehold Campaign Group has 10,000 members! It is to be hoped that at over 15,000 new home buyers will take part in the current consultation and leave the government in no doubt that a stand-alone new homes ombudsman is badly needed. Given previous experience, the government response can be expected around 16 July 2018. A ‘Get out of Jail Free’ card for housebuilders? Apparently “The Consumer Protection from Unfair Trading Regulations 2008 are enforced by Local Trading standards Services” (page 10). So can we expect a prosecuting for this blatant and proven breach? Finally, on page 19 we have three paragraphs under the heading “Buyers of new build homes” there is an acknowledgement that “there are gaps in protection and there needs to be more robust protection for homebuyers in the first two years after purchase.” It also states that “We [the government] are working with the Home Builders Federation and warranty providers to address these issues and we want them to continue to drive improvement.” The clear reality is there has been deterioration in the last 20 years. The HBF will always seek to protect the interests of their member plc housebuilders and warranty providers will protect their own interests, both ahead of those of consumers. Question 2 answer “A person who has recently bought a new home” This is important as it will show the number of new home owners that took part in the consultation and demonstrate the need for a specific new homes ombudsman. That is, there is no independent, government-appointed new homes ombudsman! Question 10 answer “Yes” and add “an independent statutory new homes ombudsman” in the box. All ombudsmen should publish decisions as it is in the public interest to do so. Question 14 “Time to deal with a complaint” is more difficult, so answer -“it depends on the complexity of each case” as specialist testing and reports may be required for new home issues. On page 16 we learn that the Housing Ombudsman awarded compensation in a third of cases ranging from a ‘massive’ £20 to £8,195 – hardly suitable for new homebuyers! Most common awards across the three existing property schemes were stated as a paltry £50 to £500. Clearly miserly awards like these are not going to force housebuilders to improve what they do and don’t do! 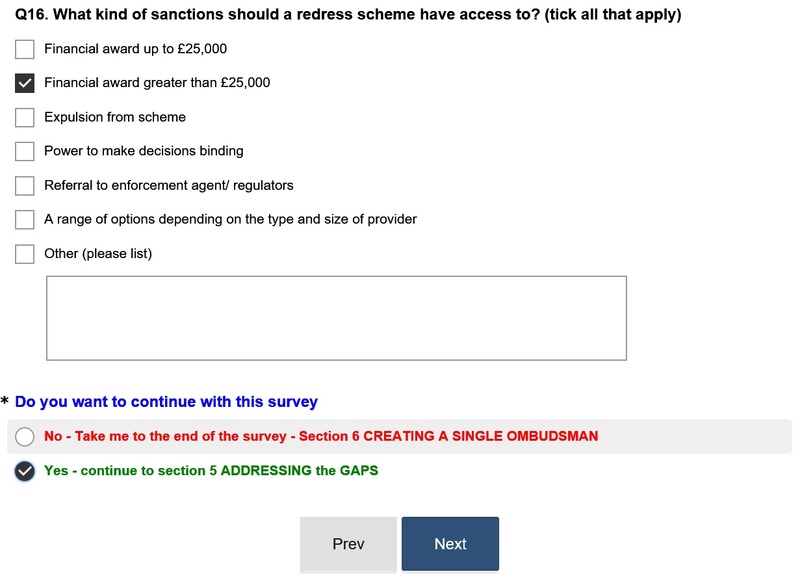 Question 16 “Sanctions” Answer – “Financial award greater than £25,000” as justifiable, meaningful compensation must be available for the new homes ombudsman to award. Be wary of “Do you want to continue with the survey?” Click “YES – continue to section 5 addressing the gaps” otherwise you will miss the crucial questions for new home buyers! Was this a cynical attempt by government to avoid responses from new homebuyers? Question 30 is perhaps the most significant question as it is the only opportunity for a response to ensure that a new home ombudsman is separate from a general ‘one-size-fits-all’ “housing ombudsman” that Sajid Javid appears to prefer. It is imperative that the link to this consultation is shared via social media with all those that have bought a new build home. It needs a high response from new homebuyers to force government to sit up and take note and set up an independent new homes ombudsman as soon as possible. If such a new homes ombudsman existed, all new homebuyers would be able to claim justifiable compensation, not just get their defective new homes rectified eventually! This is in everyone’s interests, those that have bought a new home and those that will in the many years to come! It is just too important to ignore. The government has finally recognised the need for an independent New Homes Ombudsman and an APPG Inquiry is currently calling for evidence on how it would operate. It is not impossible to build a defect-free new home. 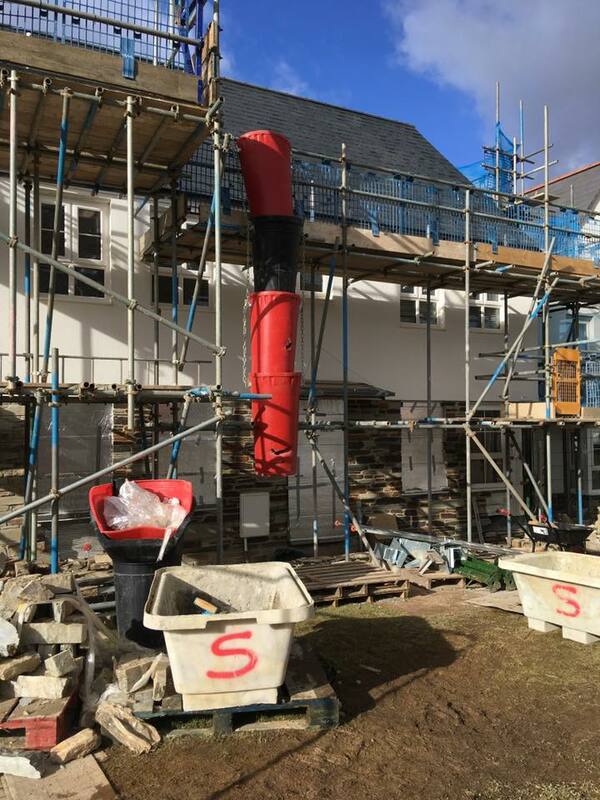 All that is required is the will to do so – building with care and with a thorough inspection regime that requires all sub-standard work to be taken down and re done. Yet 98% of new homebuyers report defects to their housebuilder within a few weeks. 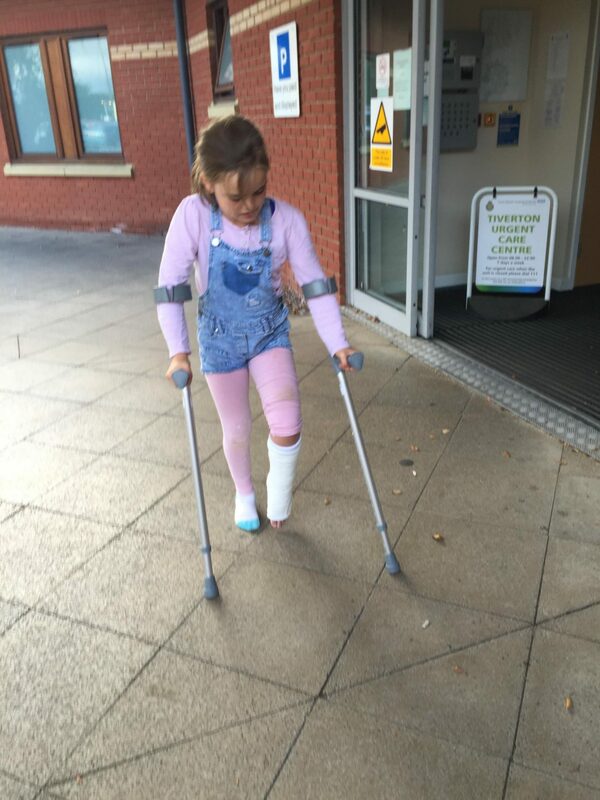 Defects in UK new homes are injuring children! For far too long the industry has used the “built in the open in all weathers” excuse and lowered buyers’ expectations. Bricklayers do not and cannot work in the rain! Render is not applied in the rain, yet there are many defects associated with both. Superstructure accounted for 38% of all NHBC warranty claims in the year to 31 March 2017, costing £35million (41% of total claims) to rectify. Adverse weather does not contribute to walls being built out of plumb, render cracking or missing insulation! All other trades (apart from groundworkers) work inside, often in the same conditions found in most factories. 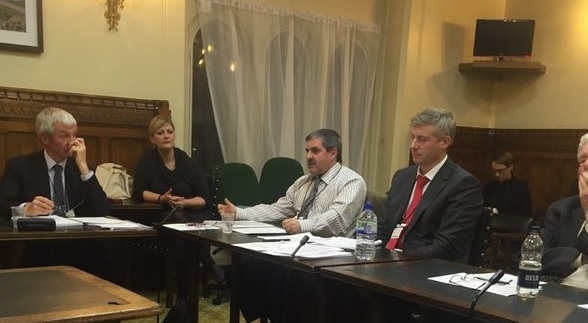 I suggested the need for an independent, government-appointed New Homes Ombudsman when I attended the second session of the APPG EBE Inquiry ‘Into the Quality of New Homes in England’ on 23rd November 2015. “The role would include mediating disputes between consumers and their builders or warranty providers to offer a quick resolution procedure paid for by a housebuilders’ levy. We see this is as the key recommendation to provide more effective consumer redress, if things go wrong, and a good way of applying pressure on housebuilders and warranty providers to deliver a better quality service. So it is somewhat disappointing that, 18 months after the report was making the recommendation that an independent, government-appointed New Homes Ombudsman be set up to give buyers an independent form of redress, there has been so little progress. It is to be hoped that following this latest Inquiry, an independent New Homes Ombudsman will be set up by government without recourse to further delay, consultation, consideration, or review. Indeed they do. The HBF frequently use the 84% “satisfaction” statistic. It is a fact that the HBF use their 8-week Customer Satisfaction Survey primarily to provide data to “rebut negative claims on build quality.” HBF Chair Stewart Baseley who says he is “a great believer in transparency and a great believer in people having access to services that are cheap for them to use to get qucik remedies to their problems” Nevertheless this survey is all we have at the moment. 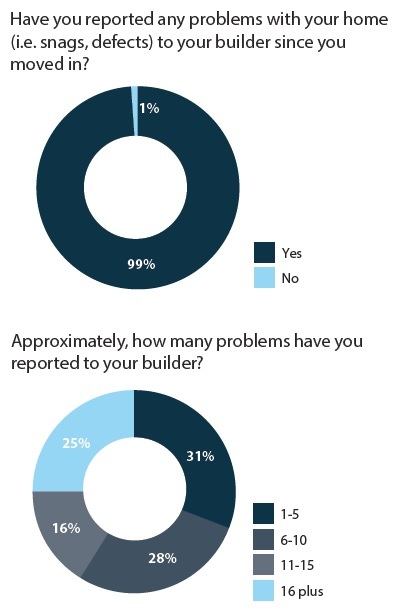 Far from “if 80% have no issues” as Javid assumes, the HBF survey actually demonstrates that 98% of new homebuyers report “problems” (in other words defects), to their housebuilder within a few weeks of moving in. Indeed 41% report more than 10 defects. The quality of new homes has further deteriorated. This is an undisputable fact, now even demonstrated by the industry’s dubious own customer satisfaction survey results 2017. An ever growing number of new homebuyers have to move out of their new homes, often for several months, whilst their house is taken apart to rectify serious, often structural defects. More recently, there is a growing incidence of weak-mix mortar. The current “procedures” limited as they are, serve to protect housebuilders and the warranty providers rather than help consumers. The only “alternative”, as has been written in many letters from various housing ministers and staff at the DCLG over the years, is for buyers to take action through the courts for monetary compensation. As most buyers realise, even those with legal expenses insurance, this is a lengthy and costly process with no guarantee of a successful and fair outcome. Indeed, housebuilders have deep pockets and vigorously defend every attempt by the very few new homebuyers who courageously take this course of action. Housebuilders do this in the certain knowledge that it will cost them far less to defend the small number of claims that could potentially end up in court, than routinely pay justifiable compensation to homebuyers. Even if an agreement is reached ahead of a court hearing, this is normally subject to a non-disclosure agreement clause, (“gagging order”) to avoid any precedent being established and to reduce likelihood of action being taken by others, often with identical issues. It is no longer a case of getting (all be it eventually) a few minor defects and snags rectified by the housebuilder being a satisfactory outcome. Now there is a clear case for justifiable compensation paid by housebuilders and/or warranty providers, to all buyers of sub-standard defect-ridden new homes. A recent announcement by Communities Secretary Sajid Javid on 29 November 2017, mentioned “bold options” that the Government “will look at to improve consumer redress across the housing sector” – Setting up an independent New Homes Ombudsman should be its priority. 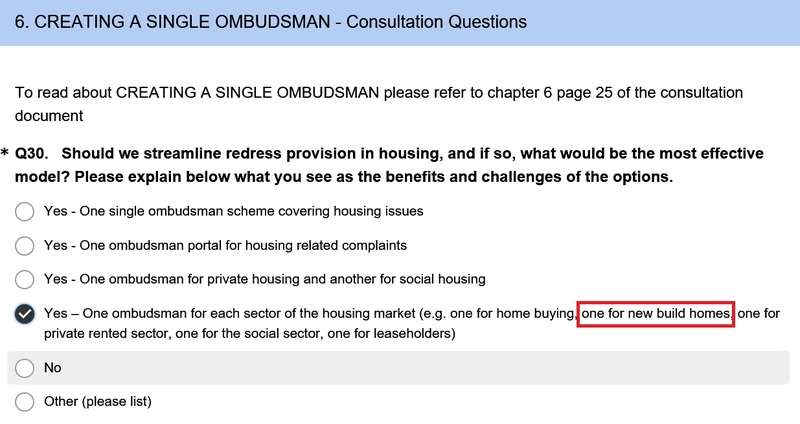 Worryingly, it would appear that it is the Government’s intention of rolling all existing ombudsman (Housing Ombudsman, the Property Ombudsman and Ombudsman Services’ Property, and the Property Redress scheme) into one, all-encompassing, ‘one-size-fits-all’ “Housing Ombudsman” rather than a simplified New Homes Ombudsman, purely for consumers that buy new homes. I firmly believe a separate, stand-alone, fit-for-purpose, independent New Homes Ombudsman is the only way that this industry will be forced to look inwards at what it does and make both the quality of new homes and customers, their number one priority. As it stands, housebuilders are showing no intention of taking proactive measures to improve the quality of the new homes they build. Consumers need a fully independent means of redress. It is now essential to appoint a New Homes Ombudsman for the house building industry. All existing legislation to protect consumers, including The Consumer Rights Act 2015, does not apply to property. “I applaud the Department for Communities and Local Government for getting the Home Builders Federation to look into the voluntary ombudsman scheme, but perhaps the time for any such voluntary scheme has passed.” Perhaps? “…the repointing of joints on walls where purposeful demolition and reconstruction should have happened” – No doubt in response to the growing incidence of weak-mix mortar. A New Homes Ombudsman, by its very existence would force housebuilders to look at what they do (and don’t do) forcing them to strive to do better, in the certain knowledge that a buyer can complain to an independent ombudsman who would potentially, be able to award unlimited, justifiable compensation. Such awards would become a matter of public record. No longer would housebuilders be able to delay and defeat buyers’ repeated attempts to have their defective new homes fixed. Free – At no cost to new homebuyers making a complaint following the housebuilder or warranty provider issuing a final deadlock letter. Fair – A New Homes Ombudsman would (and must) be entirely independent of the housebuilding industry – something that clearly the warranty providers and the Consumer Code for Home Builders are most definitely not! Fully transparent, appointed and audited by Government. For everything – Everything and anything that can and does arise when buying and living in a new home. 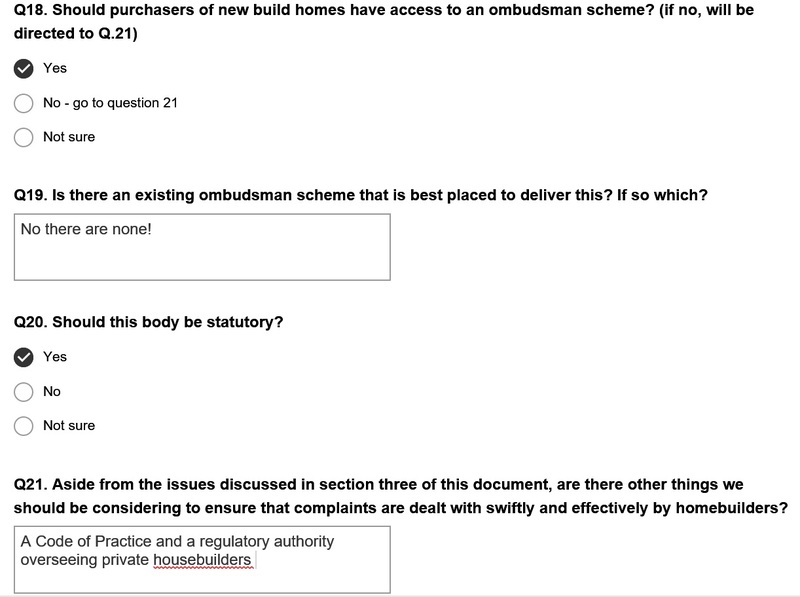 Dealing with buyers’ complaints including misleading and incomplete marketing information and underhand selling practices, unfair contracts, poor build quality, defects, non-compliance with Building Regulations and/or warranty standards, inadequate or indifferent after sales service, conflicts of interest, tenure and boundary issues, contractual disputes – with the New Homes Ombudsman being able to order housebuilders and/or new home warranty providers to pay buyers justifiable and meaningful compensation awards. The New Homes Ombudsman must be fully-independent and government-appointed, NOT one of many “Ombudsman” in the Ombudsman-services.org who act as little more than an outsourced dispute resolution service to various sectors. Cost Effective Dispute Resolution (CEDR) is not going to work either! But the New Homes Ombudsman should not be part of a wider, ‘one-size-fits-all’ one-stop, general purpose “Housing Ombudsman” as the current rhetoric from Government would indicate. I was horrified that merging the various existing residential Ombudsman into one “Housing Ombudsman” is being given serious consideration even though it would also include a mechanism of independent redress for new homebuyers for the first time. Whilst this is better than the complete absence of any independent means of redress that new homebuyers currently have, it would not be in the best interests of new homebuyers if the badly needed New Homes Ombudsman was set up as part of a wider “Housing Ombudsman” service. It would take a considerable amount of time and presumably new legislation to combine the existing ombudsmen into one office. Furthermore, the new-build industry is sufficiently large and errant to fully justify a dedicated New Homes Ombudsman of its own – which would specialise in the many unique issues and technicalities of the new-build sector. Camouflaging a New Homes Ombudsman under the umbrella of a general “Housing Ombudsman” would also make the New Homes Ombudsman less conspicuous to the very people who would need and benefit from it. Housebuilders and warranty providers operational basis is to ‘bat away’ buyers’ complaints and warranty claims rather than work in the consumer’s best interests. Despite many years of opportunity, this isn’t going to change. It is now time, as I would hope this Inquiry will conclude, that UK new homebuyers were given something from this government. A small concession that if (or rather when) they are unfortunate enough to discover major, preventable defects in their new home, or housebuilders fail to rectify defects in a timely manner, they can apply to an independent, government-appointed New Homes Ombudsman who could award justifiable and meaningful levels of compensation. 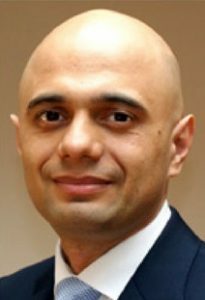 As Communities Secretary Sajid Javid MP announced on 29 November 2017 recognising the need for an Ombudsman to give new homebuyers a form of redress, I would hope, following the recommendations and evidence I have submitted to this Inquiry, he will announce that a stand-alone independent New Homes Ombudsman will be now be set up by the end of 2018. This is quite simply, not the case. “We were promised a White Paper, but we have been presented with a white flag – feeble beyond belief”.. said John Healey shadow minister of state for housing. Others commented it was a “predictably damp squib” and a “missed opportunity.” Even Redrow said it was “disappointing” with chief executive John Tutte saying the housing white paper was very light on details and he was surprised it was “more of a consultative document.” This is hardly surprising as the stench of the Home Builders Federation (HBF) was all over this housing white paper, an example being the caving into pressure from the likes John Tutte regarding newts “delaying” new home building. Britain needed ‘Donald Trump’ style action and got a Donald Duck builders’ puppet. “Hard-hitting” proposals were watered down to Westminster’s famous thin gruel, generally becoming ideas for consultation, subjects for further discussion and situations to monitor. This 104 page housing white paper is little more than a plan for more talking and a missed opportunity for decisive, positive action. On Tuesday DCLG secretary Sajid Javid declared that Britain’s housing market was indeed broken. With the average home costing eight-times average earnings and a total of 2.2 million working households with below-average incomes, spending a third or more of their disposable income on housing, it’s hard to disagree! 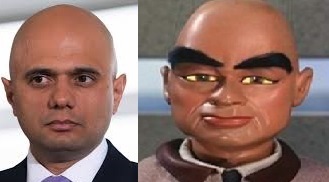 Mr Javid claimed his housing white paper will provide “radical lasting reform” to fix it.